Letter of The Week Mmmmm ! 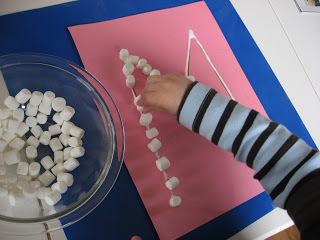 This project is much more a counting activity than art, my son was offered to color or paint his paper but declined ( he saw the marshmallows) so instead we counted our hand fulls of marshmallows before placing them on the glue . Many were eaten but lots of fun and learning was too so I didn’t mind too much. Gather your materials. 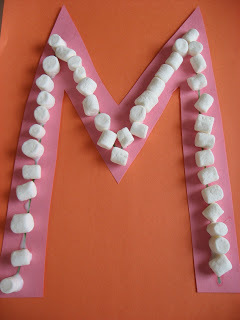 This is an easy project all you need are some mini marshmallows, 2 pages of construction paper ( one will do the trick though) a marker and some glue. Start by writing an uppercase M on the paper. 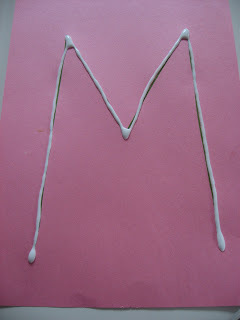 Add glue to it, now older children can add the glue to the M, I offered this job to my son but he declined saying “no no I do marshmallows” . Add the marshmallows. The way we did it was I gave him a handful, he counted them as he put them on 1, 2, 3, 4,5, 6 for example and then he got to eat the last. 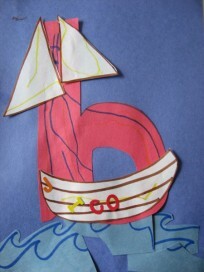 Cut out and glue onto a 2nd paper to make it sturdier if you are displaying it. 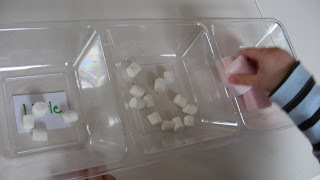 This is a simple but effective sorting activity , my son loved it and woke up asking to do it this morning, although I suspect he just wanted another marshmallow! This idea can be used with any object that you can find 2 sizes of. 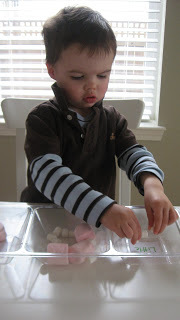 My son also loved squishing the large marshmallows, in his hands so there is a sensory aspect to this too! I know these sorts of activities can seem boring to adults but they are really very useful and kids gain a lot from them. Gather your materials. You need a divided tray ( thank you dollar store) or 3 separate bowls. 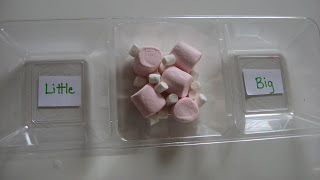 Large and small marshmallows. I also added in the words Big and Little in the correct sections of the tray. 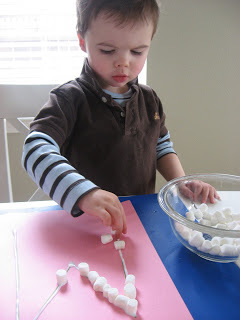 Show your child how to put the little marshmallow where is says little, and repeat for the big marshmallow. Place all the marshmallows in the center piece or middle bowl and ask them to find the right place for little and big marshmallows. Oh I love this! I think the kids will love eating them too. I am sure if I turn my back for a second there will be no more marshmellows. lol! I LOVE your blog and left you an award on my blog. 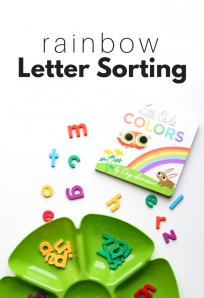 Yours was the first “mommy blog” I discovered and you inspired me to get more creative with my little ones. Thank you. Looks fun. The problem is I don’t think any of the marshmallows would make it past my 2-year old’s mouth. You are so cool. This is exactly what we do in mommy and me classes with my 3 year old. Oh, and thanks for commenting on my site! I am going to try this with Emily…what a great idea! Do you know of any edible glue that might work – corn starch mixture maybe? I’m afraid our little guy would eat the marshmallows already stuck down. Hmm. 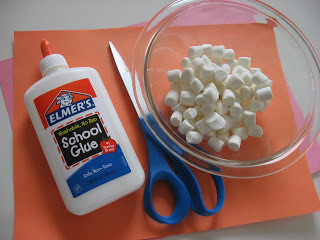 Maybe melted marshmallows for glue! I hope those help ! To Infant Bibliophile – Frosting works as an edible glue (from a can or I think you can make your own w/ powdered sugar and water). 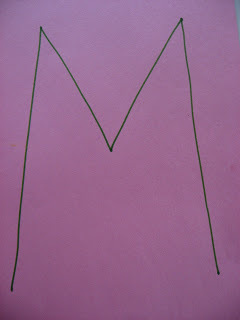 Love the M! 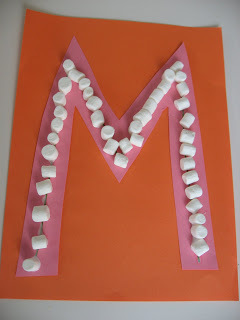 We are having a lot fo fun with our letter project. Just on D this week. I wanted to invite you to play in my photo challenge next week. Frosting never makes it to it’s expiration date at my house, ever. I love activities that are tangible/edible. 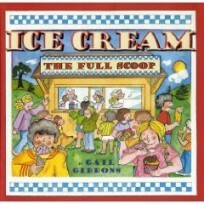 The special needs children I have in my class love this stuff! Give me more ideas like this please!